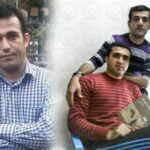 Human Rights Activists News Agency (HRANA) Zanyar Moradi, Loghman Moradi and Ramin Hossein-Panahi, three Iranian political prisoners, were reportedly executed on the morning of Saturday, September 8th in Karaj’s Rajai Shahr Prison. On September 7th, families of Zanyar and Loghman Moradi had met them in solitary confinement cells, as requested by prison authorities. 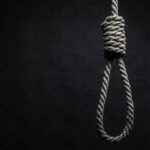 Zanyar and Loghman Moradi were sentenced to death after being convicted of murdering the son of Marivan’s Friday prayer leader; a charge they have always denied. 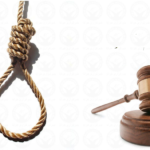 On December 22, 2010, the two Kurdish family friends were sentenced to death by Branch 15 of the Tehran Revolutionary Court, presided by Judge Salavati. They were charged with membership in the banned leftist party Komele and murder of the son of Marivan’s Friday prayer leader on July 5, 2009. Both Zanyar and Loghman have repeatedly said their confessions to the crimes were extracted from them under duress. Zanyar and Loghman had previously written an open letter, published in May 2017, detailing their case and the torture they had experienced. Ramin Hossein-Panahi, too, was executed today in Rajai Shahr Prison, according to his lawyer, Hossein Ahmadiniaz. Ramin’s family had not been contacted for a final visit, Ahmadiniaz told HRANA. The legal team defending Hossein-Panahi had previously written a letter to the head of the Judiciary, asking for the execution order to stop on national security grounds. Hossein-Panahi published a video on social media about ten days ago, insisting on his innocence and refuting the charges against him.